The wedding season will be in full-swing soon. This bride is smart and can now cross one thing off of her list! So proud of awesome fashion blogger, Abby Hathorn- I had to share her blog post… Look for the link to her TV interview. I love how Abby incorporates new and vintage finds for a fun, fresh look. I may have a little, bitty problem; you see, I am addicted to crafting supplies, namely jewelry making goodies. I have piles and piles of lovely baubles, beads and supplies to create with. Some things sit in my sometimes well-organized craft bins, but not these pretties! 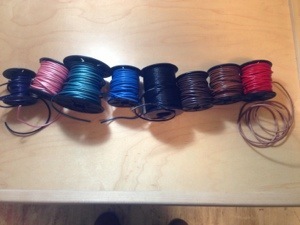 Look at the wonderful leather I have collected so far! Ahhh, beautiful! You can make these babies in no time and here’s the proof! It all started innocently enough; I entered a giveaway from The Wooden Bee a bit ago. I won, lucky me! I purchased a sweet upcycled bulletin board kit from her amazing Etsy shop with the gift certificate I won. 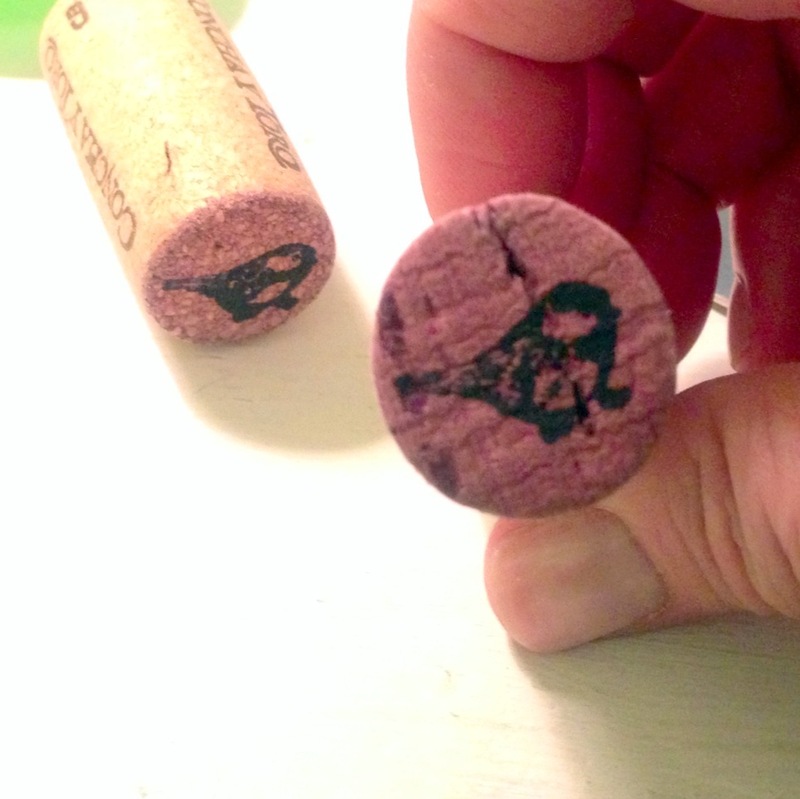 I got hooked, sucked in, and now, I am creating thumbtacks with the cool corks I received from her too! 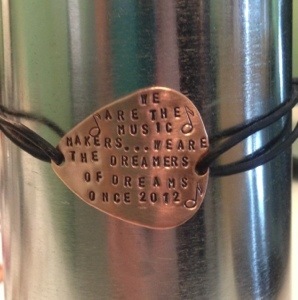 I stamped a birdy on there on a whim and am happy with the result. Take a look at the cool bulletin board I made with a lot of help from Bee! I did glue the corks in there, but she did the rest 🙂 I am happy that I made a couple of thumbtacks to go with; they look way better than generic plastic ones! Check out Bee’s cool, sustainable crafts, decor and supplies. 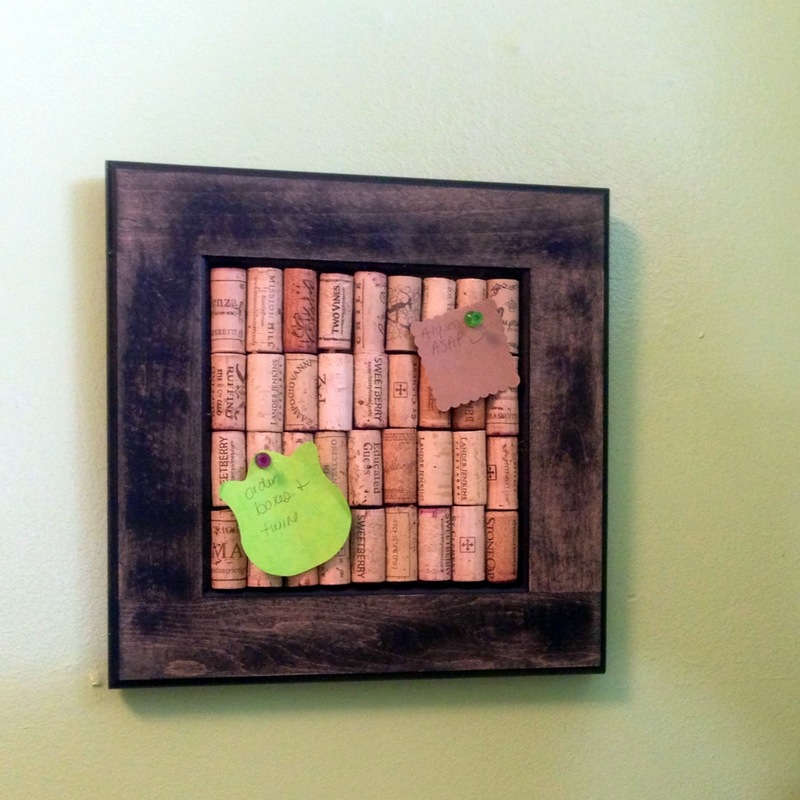 Her blog is pretty fun and has great tutorials like the wine cork thumbtacks too! Yup, I glued those babies into the frame; I am one crafty diva! Midi or knuckle rings are now available in my Etsy shop. They are cute and fun and very on trend right now. I have been eyeing the Pantone Spring 2013 colors for a while now; my last post was dedicated to the color of the year, Emerald. While it is my favorite, I am also in love with Dusk Blue. I have a few fun blue finds to share with you. As you may know, Etsy is my fave place to look for inspiration and, of course, to shop. 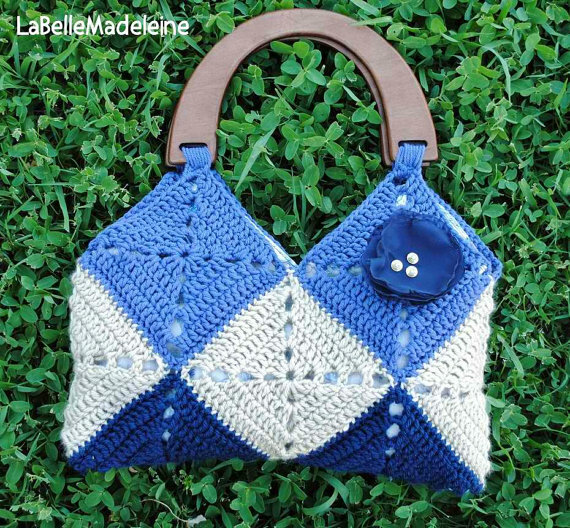 I found this lovely Granny Squares Purse from LaBelleMadeleine on Etsy. I love her shop and have many sweet items from Luisa. 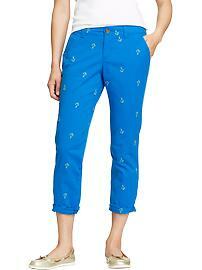 I adore these sweet skinny khakis from OldNavy.com– too cute and fun! 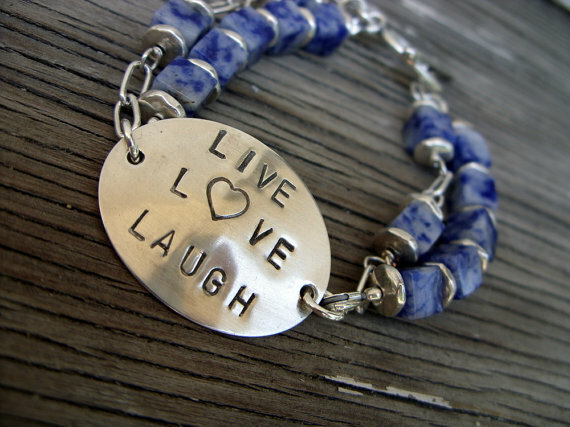 Lastly, I had to show off my blue bracelet; I used sodalite cubes and some sterling silver metalwork. So here are a few blue things to get you ready for Spring!